Meal replacement shakes for kids? No!!!!!!! I posted this in April (2014) and having seen this meal replacement shake in a Boots store I was in today, it re-ignited my annoyance again. So here is the updated post as I focus more on fussy eating based on my experience over the last few months…….. I am horrified to see a TV ad for ‘PaediaSure Shakes’ – a meal replacement shake for kids. What?! This is the worst thing to give to a child to help them eat normal food! I have this awful picture in my head of mum and dad sat on the sofa on the slim fast plan, with the kids watching the TV on the floor on PaediaSure! These ‘delicious‘ shakes come in strawberry, chocolate and vanilla flavours, so I am thinking this just supports misunderstood ideas like strawberries come out of cartons. Have a look at another post I did about where kids think food comes from – it makes some interesting reading! Just out of curiosity I decided to look up the nutritional details of the shakes; there may be vitamins and minerals in there but so is a whopping 17g of sugar per serving. It’s the 2nd ingredient on the label – that’s 3-4 teaspoons per drink. No wonder ‘kids love the great taste’! This makes me feel angry and frustrated. Children of all ages are exceeding the recommended limits of added sugar and as was reported earlier this week; more than 1 in 10 children under the age of three have tooth decay . My son (L) has just turned 2 and he can be pretty fussy at times – it is NORMAL! I can’t get him to eat an orange for love nor money. Sometimes if I offer him a banana he just looks at me as if to say ‘you are kidding aren’t you?’ He used to eat one a day about a year ago but then developed a dislike for them overnight. But have faith as after L refused them for about 6months he recently surprised me and actually asked for one. He has never eaten a fresh tomato in his life. He will eat some of his dinner but not touch the broccoli or green beans before pushing his plate away and asking for ‘pudda’. He used to gobble everything and anything without question but now he seems very clear what he will and will not eat. Do not underestimate the cogs that turn in their little heads. L will smile and gently take my hand. We wander to the kitchen, where he points up to the cupboard and says ‘bubba’ (aka biscuit). So I try to explain to a 2yr-old that he has only just had breakfast and ‘no’ he can’t have a biscuit. So he stamps his feet and cry’s, forcing the tears out shouting ‘NO!…… bubba, bubba’ So I calmly say ‘no‘ again, and that if he is hungry he can have some fruit. Come on mum, you can do this. In his mind it is the end of the World………but only for about 60 seconds. Do not give in. HE KNOWS EXACTLY WHAT I MEAN. I take some strawberries out of the fridge and eat one in front of him going ‘mmmmm, yummy’ with a big smile on my face. He shouts ‘NO!‘ again so I shrug my shoulders and say ‘OK that’s fine. I’m going to eat these lovely strawberries anyway’ and walk out of the kitchen to sit on the sofa………………Stay calm mum. When he was born I had very clear ideas about what L would be eating when he was older. Having absolutely no idea or appreciation of how little minds work, I remember hearing myself saying ‘our son won’t be eating any crap I can tell you!’ ‘He WILL love his food, he will eat food cooked from scratch and have fruit and veg every day, we won’t be having any fussy eating in our house!’ ‘We will never ever go to MacDonalds ever’! Little did I know I was suffering from precious first born syndrome and needed a slight reality check! I did my research about weaning and at 6 months ‘we’ decided on the baby led approach. It was hugely successful and thankfully L took to it like a duck to water. I diligently wrote out menus each week to ensure we introduced a new food every couple of days and the months went by. At around 18months old however, L started to make some decisions of his own. What do you mean you no longer like salmon or my spaghetti bolognaise? I slaved over the cooker after a hard day at work and you don’t want it?! How come you eat everything at nursery but not at home? You won’t eat daddy’s moussaka any more but you will happily eat baked beans for the rest of your life?! I felt a real mixture of emotions – failure as a mum because he was not eating home cooked food every day. OMG he had tinned food! He made me give him frozen fish fingers! That’s it now, we are on the slippery slope to a life of beans or spaghetti hoops every day. Frustrated because I was not in control anymore. This child I gave birth to is developing his own preferences, damn! Guilty for not having the time or energy to think about our meals, shop or cook now I was back at work full-time. There is no way on this earth however, that I would give L this paediasure shake to make up for his pickiness. Kids start to develop their own ideas from a very early age but that doesn’t mean you give into them; since when does a toddler know right from wrong about everything? With my son, we just keep offering him fruit and veg and hope that in time he will come round again. b) its loaded with sugar so it will probably make him hyper and damage his teeth etc. c) this does not encourage him to try new foods, develop his own tastes (children need to try a food around 10-15 times before they decide if they like it) or emerge out of the picky phase. PaediaSure is made by a company (Abbott Nutrition) -they make meal replacements for adults (like Fortisip and Ensure) that I remember my Nan having when she was ill. Paediasure is what they use in hospitals to give to children who are unwell or need a supplement. I asked one of my graduate students (who is now studying dietetics) to find out more about it. It is exactly the same product. Supplemental feeding may be necessary when you are unwell but this product is marketed for ‘generally well’ children. In my eyes it’s not needed and is only adding to the problems that already exist concerning the diet of children. Arrgghhh! From birth, children show a preference for sweet things (breast milk is sweet) and a dislike of bitter things (most likely a deep-rooted awareness towards potentially harmful / unsafe food). Unfortunately children are too frequently exposed to sweet, unhealthy foods so it’s no wonder they don’t all fall in love with veg, particularly the dark green veg that has a bitter flavour. This does not help the ‘parental battles’ that frequently take place at meal times. Combined with the fact that food refusal often peaks at around 2 yrs of age. This may well be an entirely genuine fear of new foods; their unfamiliar smell, appearance or taste. Foods that were previously accepted could now be rejected (L went off cheese for about a month, currently he won’t eat carrots but used to love them). As I said earlier, this is all normal and it is usually fairly short-lived! Children learn by copying. Set your own good examples and they are more likely to copy your healthy habits. (Should I admit I have become a kind of secret eater when it comes to having a biscuit in peace?) Make time to eat together as a family so children become familiar with the social and relaxed side to eating. If your child sees you eating fish and broccoli, they are more likely to copy you. Kids have survived not eating all the time and they will continue to do so. In my mind if they are really that hungry, they will eventually eat what is there IF you don’t always provide that nice tasty alternative. This will also help a child become more aware of their appetite – learning when they are hungry or have had enough. Do not over-face them – children only have small stomachs so go for small portions, they can always ask for more! A child’s single portion of meat or fish is only the size of the palm of their hand, vegetables the size of their fist. Be patient – imagine being your child when offered a new food. If sitting in a restaurant and a plate of food was plonked down in front of you, wouldn’t you smell it, move it around a bit, see what other people think of it first before trying? We generally like to know what we are eating and children are no different and they certainly don’t have much concept of time! A child may need to be offered a food 20 times before they will even try it. Make their meals look appetising! I have recently purchased some fruit and vegetables cutters that make pretty shapes. Make their meal colourful and turn their plate into a smiley face! Relax and don’t pressurise. I remember staring at L when we started to wean him. We are told not to stare, so what do we do? We stare intently at every chew and swallow. Again, put yourself in their shoes and think how you feel when being spied on! I know L eats much better when we don’t make a big deal about things and actually ignore him eating! Reward good behaviour. Even if it’s just a bite of a green bean, tell your child well done. You don’t need to run round the room cheering but don’t ignore the fact they are trying. And don’t expect them to clear the plate just because they have tasted something – they are taking baby steps! Get your children involved in food and cooking. Rather than do all your shopping on-line and if you can bare it (Aarrggh as I think of the tantrums we have add in the milk aisle!) take them with you and let them pick and choose one fruit or one vegetable that they want! Let them feel it, smell it, eat it! Try things you haven’t had before and experiment. Obviously you will need to be careful with sharp knives and hot water but let them help you prepare dinner. Even if it’s just stirring / mixing the salad (that doesn’t need stirring / mixing!). Children like to do what you do and get involved. Grow some herbs on your kitchen window sill or better still some veggies in the garden. Let them nuture the plants and learn about where veg come from. Don’t just limit the exposure of food to meal or snack times, make food familiar at any time of the day. Have a teddy bears picnic, paint with potatoes and spaghetti, draw with carrot sticks, colour in pictures of fruit & veg, make a play dough fruit basket. In fact you can use fruit and veg for pretty much any messy play! Believe me when I say I have just as much fun as L when we do this. It is hugely therapeutic and also incredibly enjoyable to see L so excited doing these sorts of things! Having a toddler has shown me that mess is fine. It’s not the end of the world, it will get cleared up. So enjoy the time you have together because before long they will be all grown up and not interested in making hand prints on the table and wiping paint on your nose! To finish I must recommend a website I recently came across that will reassure you and provide solutions to many child feeding problems you might be experiencing. The Child Feeding Guide is a website developed by mums who also specialise in and research in children’s feeding habits. It certainly put my mind at rest! 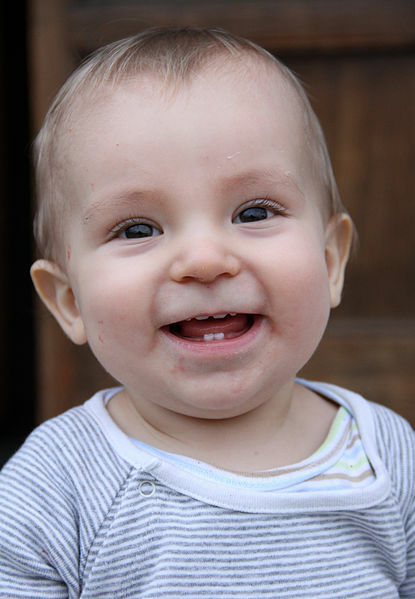 You may also be interested in preventing tooth decay in toddlers – tips for parents (which include comments from me) and another article I wrote here: Under threes need water and milk, not sugar-loaded drinks. It’s easy for people who have children who eat plenty to point the finger at parents who have children that simply refuse to eat anything (not a phase of a few months, for I am talking about 5 years plus). For a child that hasn’t eat all day, the shake probably offers them something. Stop judging when you have no idea about these things. I get that for just general picky eaters this should not be used however it is a good idea, my little boy has add and dyspraxia and the medication he takes suppresses his appetite, I don’t give it him at weekends but even then he just doesn’t eat breakfast and eats a small lunch and then dinner and then will want to binge eat snacks in the evening. Getting him to eat breakfast in the morning is an uphill struggle and I’m concerned he is not getting enough in him so I will be trialing this product to see if it helps!! Sad to see other moms being so judgemental when it comes to an issue you clearly don’t have. My son has a sensory processing disorder that makes feeding time incredibly difficult. If meal replacement shakes don’t work for you, than don’t feed them to your kid. But let’s not belittle other moms for the difficult decisions they may be faced with. My son would not eat, we had the difficult decision to supplement or hospitalize. Please don’t misunderstand my intentions with this post. I am criticising the company that make this product, not the parents that purchase it. I fully appreciate how challenging meal times and feeding our children can be but sadly it is through poor role modelling and a highly processed diet that that can contribute to or exacerbate feeding difficulties. I am very much focusing on the typical child, i.e. one that does not have particular requirements or needs. I would imagine you are under the care of a pediatrician and or dietitian who will provide personalised support for your son? Meal replacement shakes and nutritional support are vital in child care – to ensure those that are unwell or who have feeding difficulties (that can affect their nutritional status) receive appropriate nutrition. What I am criticising, is this product (that is used in a clinical setting) is being promoted and marketed for the healthy child. Overcoming difficult eating is not an easy journey and sometimes easy solutions are not always the answer. I sincerely apologise if you feel offended.